In Yerevan, I have been on a bit of a cultural bender. 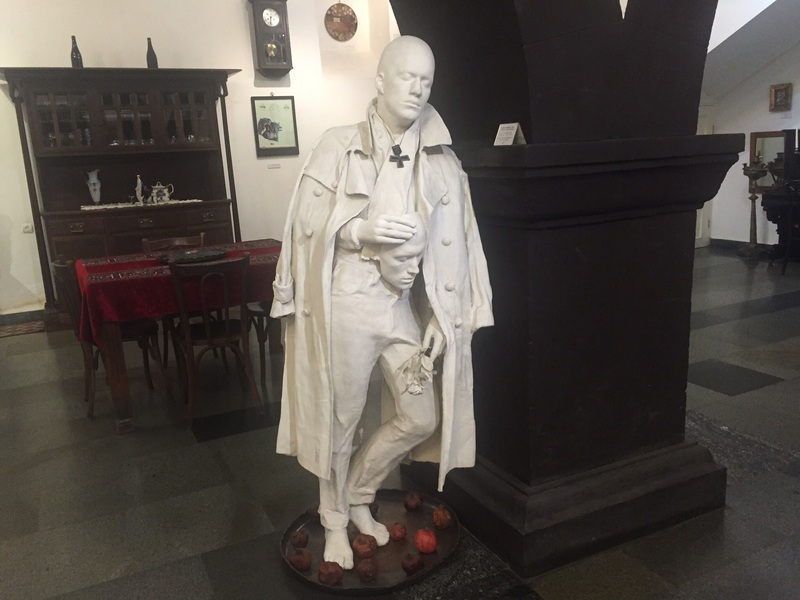 For starters I went to the city’s Stanislavsky Russian Theatre to see “жизнь не сыграешь на бис” (Life doesn’t play an encore), a medley of Russian music and poetry. It drew on the work of several 20th century titans, including Vladimir Vysotsky, a favourite of mine, and Marina Tsvetaeva. It must be intimidating for actors when they work in a theatre named after the great director Konstantin Stanislavsky, whose plea to actors was “keep breaking traditions, I beg you”. But this troupe from Moscow were spirited and professional, serving up entertainment that had pace and depth. Two actors came amongst the audience and daintily handed out little bunches of grapes. It was a nice touch. After all, the autumn is grape harvest time in Armenia and this is the Caucasus, with its traditions of hospitality. 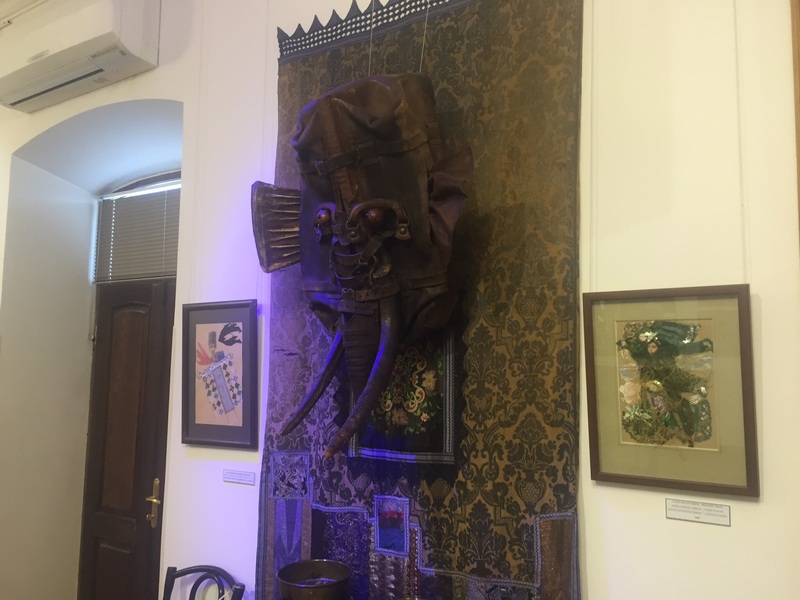 The next day Heide Rieck, the German writer I mentioned in an earlier post, suggested an outing to the museum in Yerevan dedicated to the work of Sergei Parajanov, Armenian film-maker and artist. I am always happy to be educated so off we went. The museum is housed in a traditional two-storey Caucasus building. Small museums, if they have charm, are important in the overall cultural scheme of things. 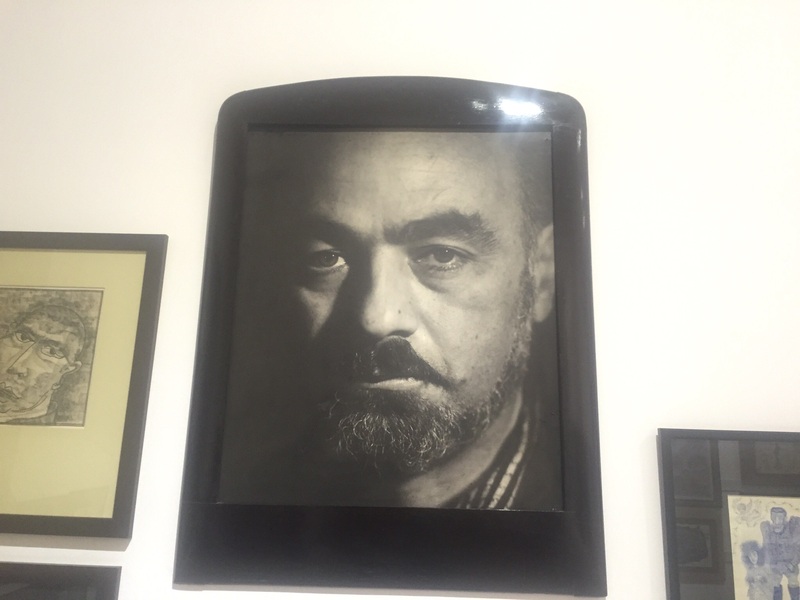 And the Sergei Parajanov Museum does have charm. Parajanov (1924-1990) was a playful iconoclast who had the misfortune to ply his trade as Surrealist artist during the time of the Soviet Union, not an entity noted for its sense of fun and its tolerance of artistic innovation. 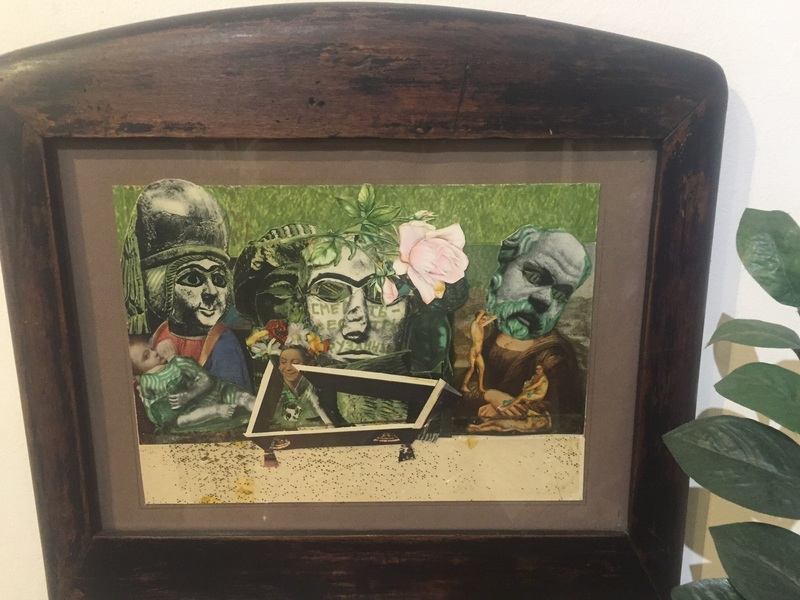 The museum has on display more than 1,000 exhibits, including dolls, collages, sculptures and also artworks which Parajanov produced while languishing in a Soviet prison camp. The visitor can watch sequences from his most famous film, “The Color of Pomegranates”, made in 1969. In photographs, the artist stares out at us with a handsome, unsmiling face. He looks strong, almost fierce, and he sports a dark trimmed beard, moustache and bushy eyebrows. He looks very bright – good company if you’ve got your brain in gear, utterly intimidating if you don’t. So why do I call him a Pythonesque Armenian? Well, his collages can look as if they have come straight out of “Monty Python’s Flying Circus”. As soon as I saw the collage he did in 1987 called “Death of my Sister Ruzanna”, I immediately thought “Monty Python”! Then I read one film critic who said that when when he watched “The Color of Pomegranates”, he thought of Monty Python sketches sending up ever-so-intellectual art films. I know what he meant – there are intense brooding silences. At the same time, I would not wish to rubbish the film. It has sequences that are spellbindingly beautiful. Time Out Film Guide included Parajanov’s masterpiece in its list of Top 100 Films. It will surely endure for as long as people watch films. The first version of “The Color of Pomegranates” was called “Sayat Nova” (The King of Song) and it is partly based on the life of the 18th century Armenian poet of that name. But it is not a conventional biography. Sayat Nova’s life serves as the framework for tableaux vivants drawn from the religious and artistic life of his country. Pomegranates spill their juice forming the shape of a map of old Armenia. The pages of many open books turn in the breeze. A woman dances to the sound of drums in front of great hanging carpets. Art films are not meant to be minutely dissected. If you have never seen “The Color of Pomegranates”, it is on YouTube. I find it visually stunning. The Soviet authorities, unfortunately, did not appreciate Parajanov’s work. From 1973 to 1977 he was in a Soviet prison camp and for years he was effectively prevented from film-making. His collages and other art forms were a form of creative release because he couldn’t make films. Only with the Soviet political thaw in the 1980s was Parajanov able to return to film-making. Before writing this piece, I looked at my theatre programme to learn the name of the theatre company which had provided the excellent evening of Russian music and poetry. There are no prizes for guessing this one. I discovered that it was the Parajanov Moscow Art Theatre. I think the artist would have enjoyed the show, including the Armenian grapes.